I've recentely have a task to transfer some huge Application server long time stored data (about 70GB) of data after being archived between an old Linux host server and a new one to where the new Tomcat Application (Linux) server will be installed to fit the increased sites accessibility (server hardware overload). The two systems are into a a paranoid DMZ network and does not have access between each other via SSH / FTP / FTPs and even no Web Access on port (80 or SSL – 443) between the two hosts, so in order to move the data I had to use a third HOP station Windows (server) which have a huge SAN network attached storage of 150 TB (as a Mapped drive I:/). On the Windows HOP station which is giving me access via Citrix Receiver to the DMZ-ed network I'm using mobaxterm so I have the basic UNIX commands such as sftp / scp already existing on the Windows system via it. 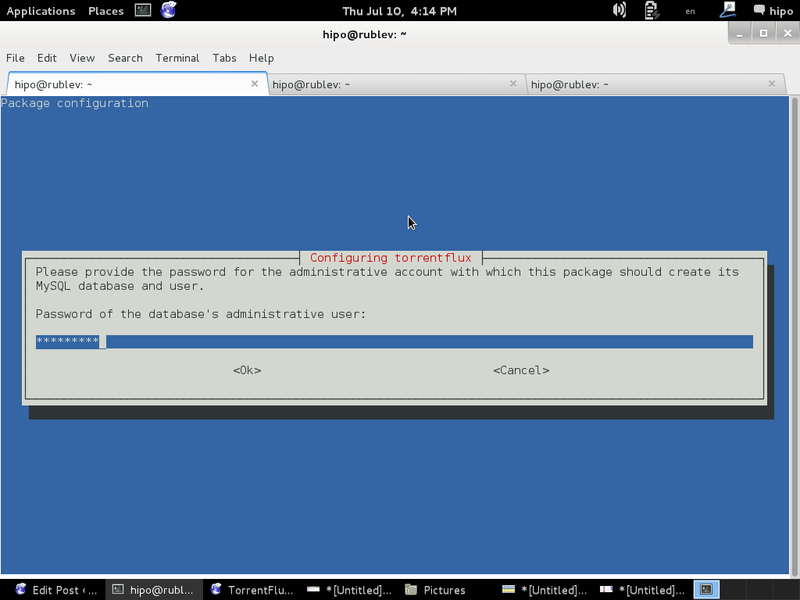 rsync -av –partial username@Linux-server.net:/path/to/file . 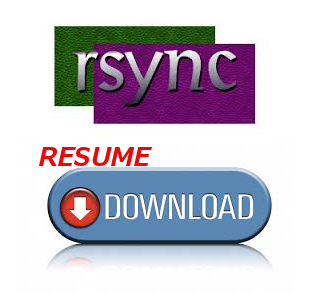 Of course for the rsync resume to work remote Linux system had installed rsync (package), if rsync was not available on remote system this would have not work, so before using this method make sure remote Linux / Windows server has rsync installed. There is an rsync port also for Windows so to resume large Giga or Terabyte file archive downloads easily between two Windows hosts use cwRsync. JDK – Java Development Kit). 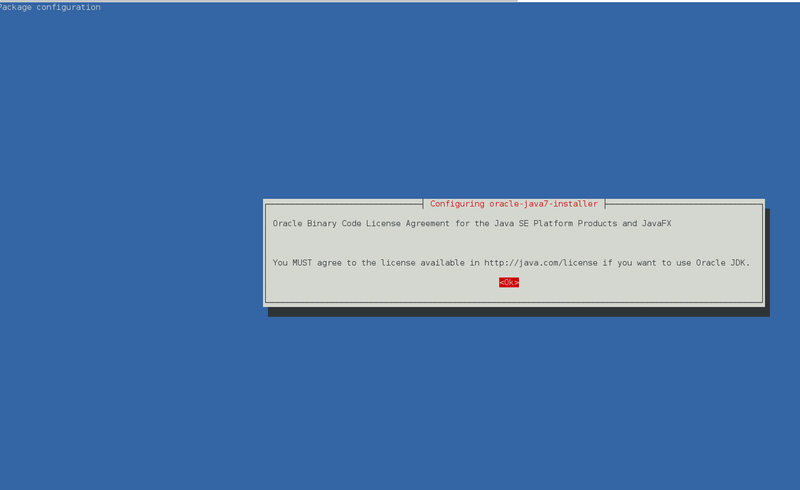 As some written software requires custom ex-SUN Microsystems and currently owned by Oracle Java proprietary non-free binaries to install them on Debian Linux 7, there is a way to download any sun java jdk version, create .deb package and install the package with dpkg. 0 upgraded, 14 newly installed, 0 to remove and 112 not upgraded. Need to get 11.8 MB of archives. After this operation, 24.7 MB of additional disk space will be used. Torrentflux is web based, feature-rich BitTorrent download manager. Torrentflux is a must have installed server software for anyone who does regular torrent downloads and want to access the downloads from anywhere on the internet. through a convenient and easy-to-use web interface. 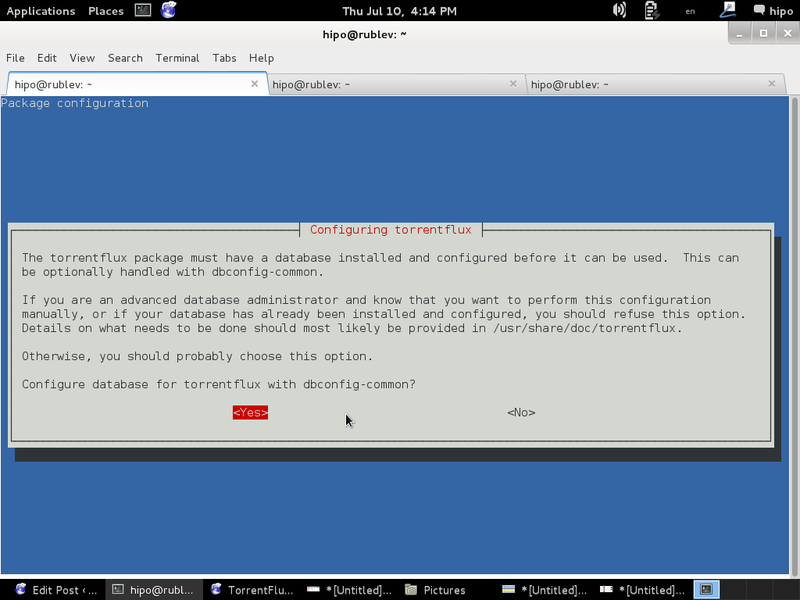 TorrentFlux uses a MySQL database to manage the downloads. TorrentFlux enables you to run BitTorrent downloads unattended on a monitor-less or remote server 24 hours a day, while still maintaining complete control from any web browser. Now you can control your downloading on your firewall, or keep up with downloads while on vacation. It uses the BitTornado client to download files, and also requires a web server with PHP. 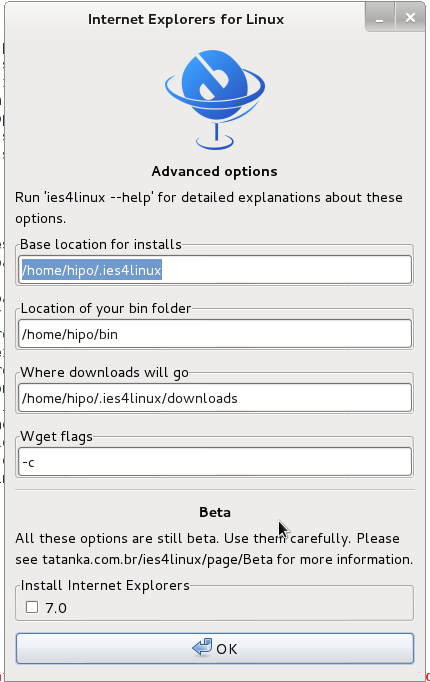 Before installing Bittorrent you will need to have a running version of Debian, Ubuntu or any other debian derivative (though it can easily be run on any Linux distro). 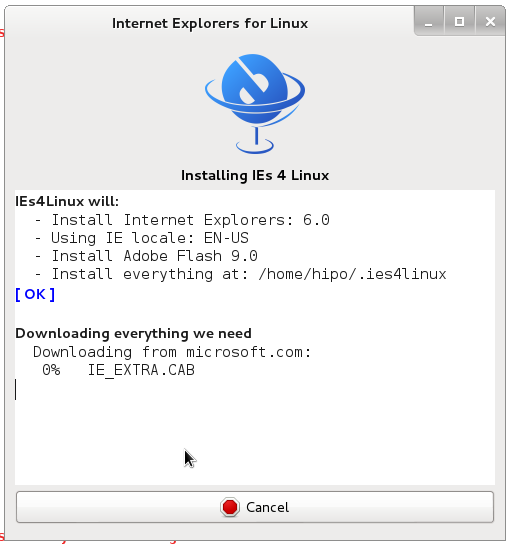 To install AMP (Apache MySQL Server, PHP) you can follow first part of my previous article Installing Usual PHP Apache MySQL for new Debian GNU / Linux installs. 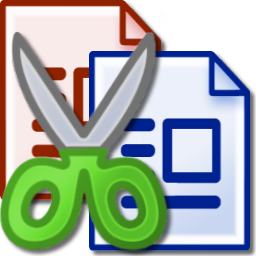 So what for is TorrentFlux Useful? 1. 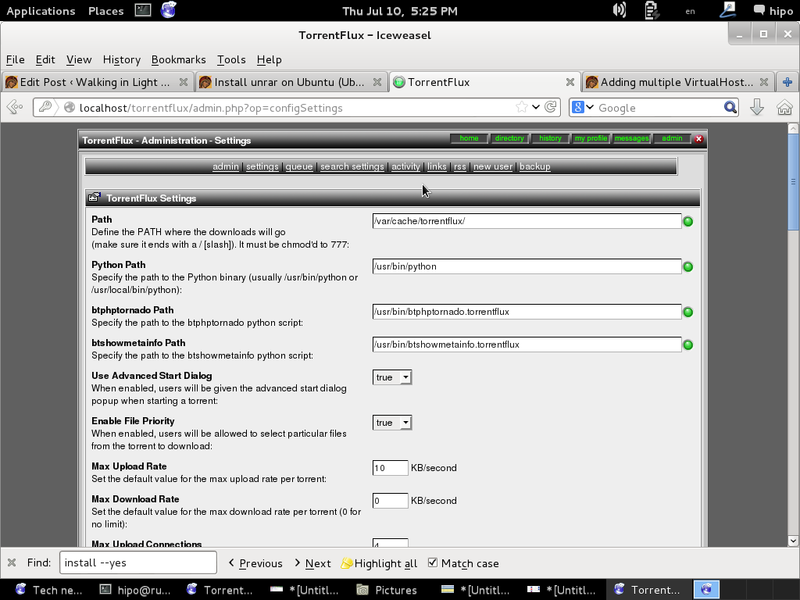 Install TorrentFlux and its dependencies (BitTornado, Bittorrent, Zip, Unzip, Bzip etc.) the "Debian Way"
You will be prompted with a coule of screens, to set a new MySQL database user and password and SQL database, as well as offered to restart Apache to make Torrentflux accessible like as on below screenshots. That's all you're all done to access torrentflux either access it via your default configured webserver domain name or via localhost if you're logged in to same pc where installing. For further initial configuration its necessery to make Torrentflux config writtable by www-data (the user with which Apache is running on Debian). echo "CREATE DATABASE IF NOT EXISTS $SQL_DB DEFAULT CHARACTER SET utf8 DEFAULT COLLATE utf8_unicode_ci"
I will not enter details, about Web config, because everything there is pretty clear. Uncheck the box for "Create new database"
VLC may show an error as well, that's not a problem because VLC is probably not to be used. Finally after completion of all, you will get an error that setup.php cannot be deleted. /torrentflux should redirect you to login.php if for some reason it doesn't type it manually in URL. First account you will login is the super user account, you can allow multiple users to use it by adding multiple accounts. As you will see there is plety of configuration options to play with. You will definitely want to look in Server Page, some very important page to look is the Transfer Page – from there you can adjust the bandwidth of your connection on 100Mbit network this would be 12500 – to use the maximum possible connection provided by your ISP set the max bandwidth to 0. You have the option to also set a default bittorrent client, by default this will be bittornado. If you working in field of Computer Security you should have definitely heard of OWASP (Open Web Application Security Project). OWASP is very much like MetaSploit – Penetration Testing Framework except it is focusing mostly on web security. As of time of wrtitting this post OWASP Project is probably the largest contributor in Web Security tools. If you're somehow in the field of Web and Middleware (Security team) or writting Web Application software (with security in mind) OWASP is definitely a project you should study well and the provided tools can help you develop your web services server infrastructure or application design with top security in mind. One of the famous OWASP tools is Joomla Security Scanner – a toll that can scan and find all potential and present vulnerability in a Joomla (Pure Joomla or Joomla Based website). OWASP Joomla Security Scanner script is written in Perl, making it possible to run on any OS Platform that can run Perl and CPAN modules. Thus Joomla Security Scanner is running on Windows, Linux and Mac OS X. To use OWASP Joomla Security scanner on Linux (depending on Linux distribution install perl via deb or rpm package manager – most Linux distributions have it already pre-installed). For Joomla Security scanner on Windows you will have to install one of Perl Windows ports either Active Perl or Strawberry Perl. The console is a front end which uses Perl's Cpan modules site to download libraries, CPAN is doing quite a good job as it also downloads dependencies if installed perl module has such. Answer any further prompts by simply pressing Enter a lot of times. Try `cpanm --help` or `man cpanm` for more options. !!!! 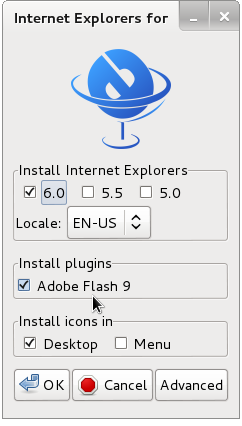 TO MAKE THE COUNTRY FLAGS AND OS WP FUNCTIONALITY WORK AGAIN YOU WILL NEED TO INSTALL WP-USERAGENT !!! 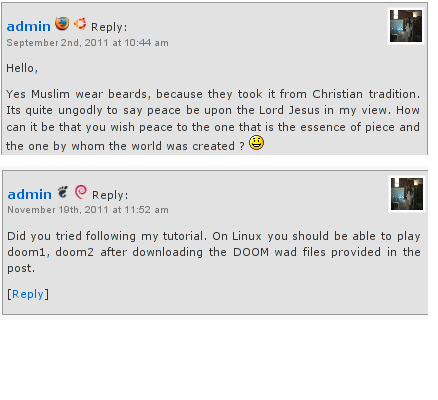 I've come across a nice WordPress plugin that displays country flag, operating system and web browser used in each of posted comments blog comments. Comments Info Detector as of time of writting is at stable ver 1.0.5. 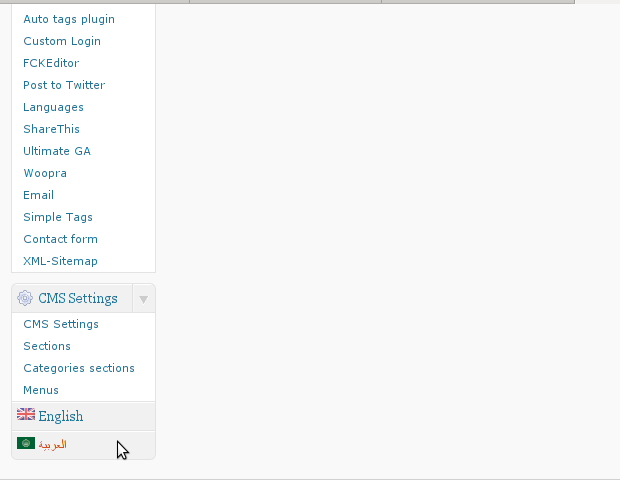 After having enabled the plugin as a last 3rd step it has to be configured.